When I went back to reference this post on a new one I couldn't find it because I hadn't posted it, so I'll do it now then put it in the right order later. On my agenda for the day after Christmas was watching the West Virginia – Utah bowl game even though I had little expectation for a WV win without their star quarterback. 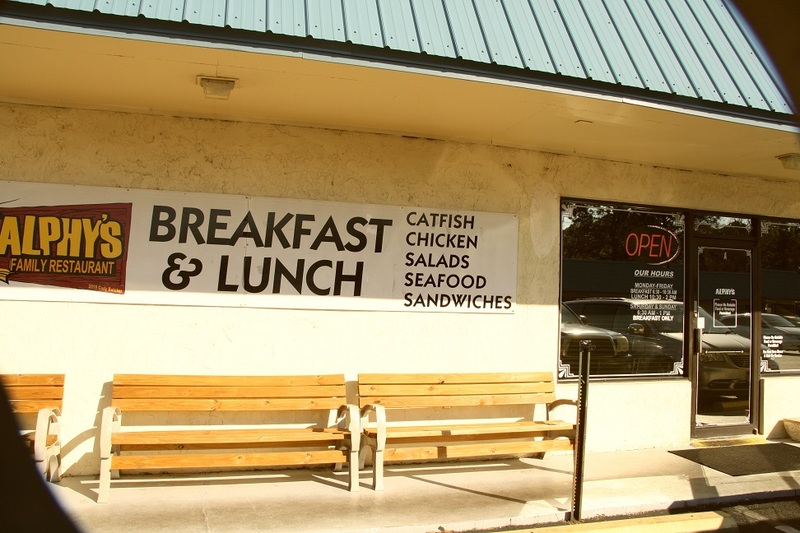 But to get the day star started, we decided to give Alphy’s Catfish House a try for breakfast. It was nearly full when we got there (a good sign) and we had to wait a few minutes for a table to be bused. 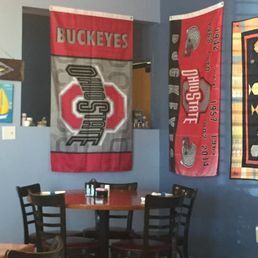 The place is run by a husband and wife originally from Ohio and we ended up eating in the Ohio State corner with flags draping the walls, but I did not allow that to ruin my meal J.
Bev and Pat had chicken fried steak with hash browns, biscuit, eggs, and gravy on the side, but no way would I go to a catfish house and not order southern fried catfish with eggs, hash browns and biscuit. 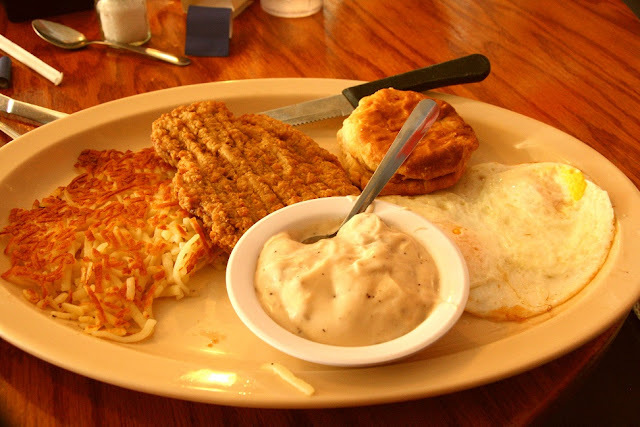 They both thought their steak was frozen rather than fresh made and we all thought the hash browns had a little of an unusual flavor – like they were using old grease from the deep fryer to cook with. Also the biscuit was over cooked for me, but the catfish was very good as I expected it would be. So I would eat there again but it would not be my go-to place for other than fish. While I watched football the girls did their usual – went shopping. This was a great example of two many bowl games – two mediocre teams, playing in a pretty meaningless game, with very few people in the stands – lots of good seats available between the 40’s. WVU lost and looked way worse than mediocre – the offense embarrassed itself. 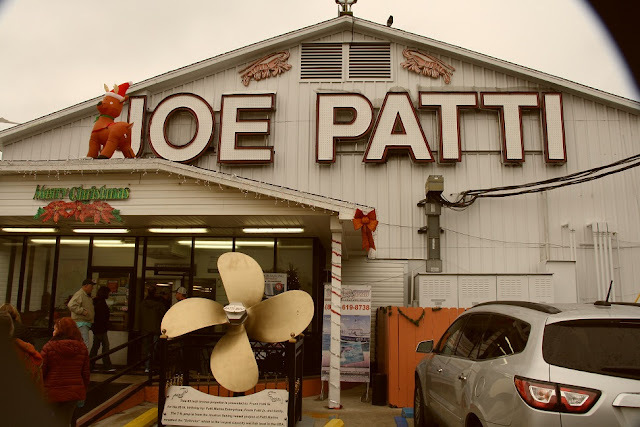 The next day we made a trip into Pensacola to visit the famous Joe Patti’s Seafood where they sell fresh fish wholesale to the public, but first we had lunch at their place next door – Captain Joey Patti’s Seafood Restaurant. It was your really basic place serving the food in plastic baskets with plastic utensils. 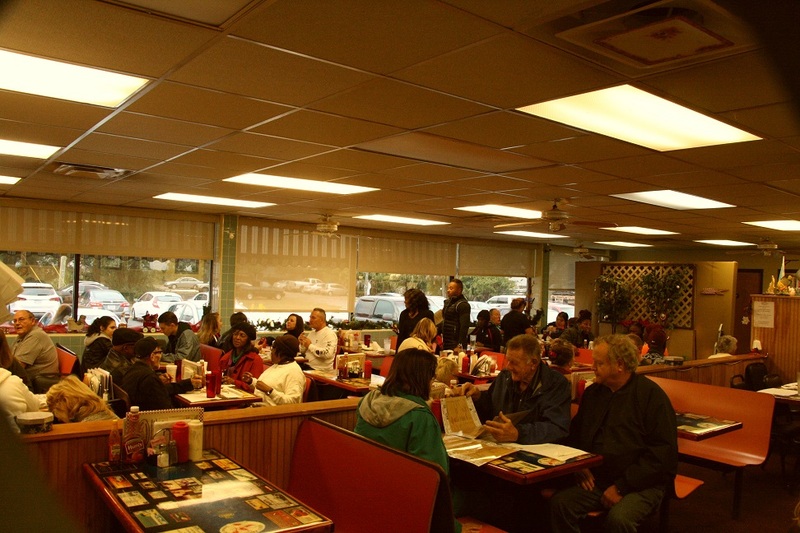 It was pretty full when we got there about 2pm but we were seated promptly and the service was quick and efficient. 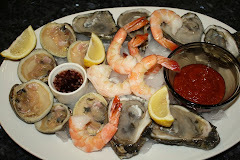 We asked the waitress for the best thing on the menu and she replied scallop and oyster dinner so Bev and I ordered that and Pat had the flounder basket – dinners had four sides and baskets had two. 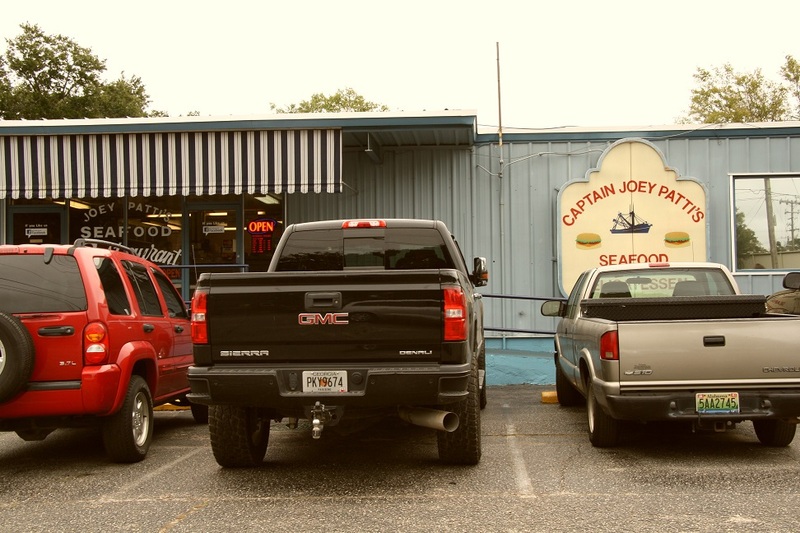 We all thought the fish was pretty good but not great, but the sides were all very good – if you like sweet hush puppies. 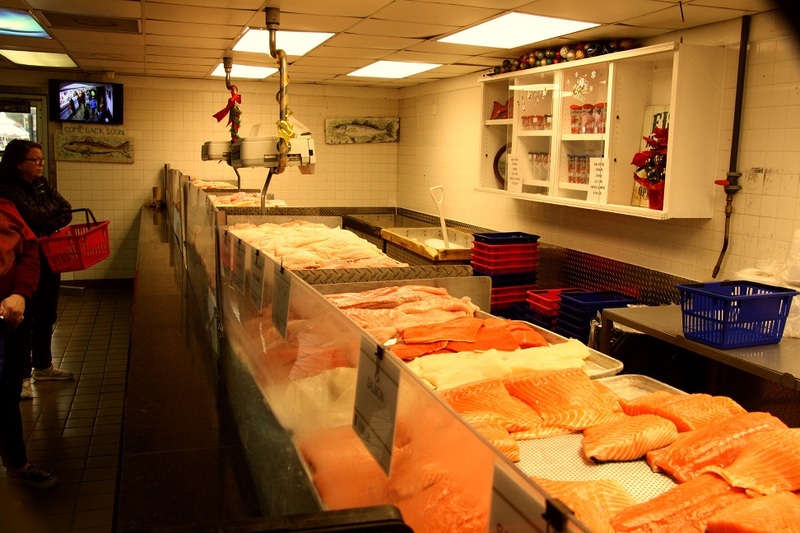 One of their selling points is the very fresh fish at reasonable prices. 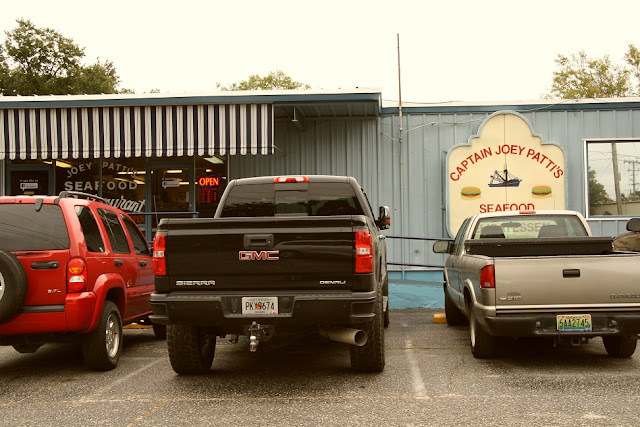 After eating, we went next door to the seafood store and it was absolutely overwhelming. The long seafood case had volumes of about any seafood I could think of plus crawfish – I’ve never seen anything like it. 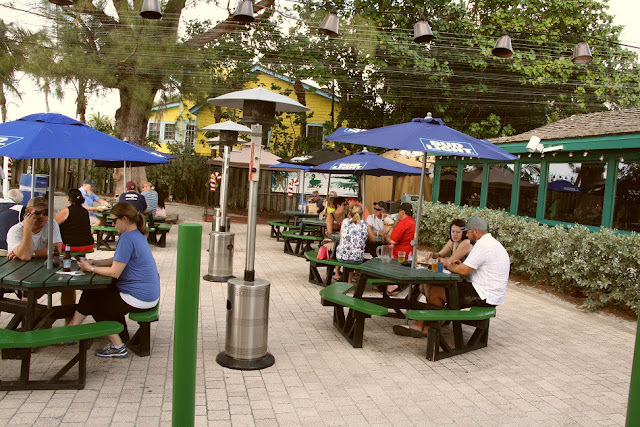 There was all kinds of other things (like soups, sandwiches and beer) that made it a one stop shop. 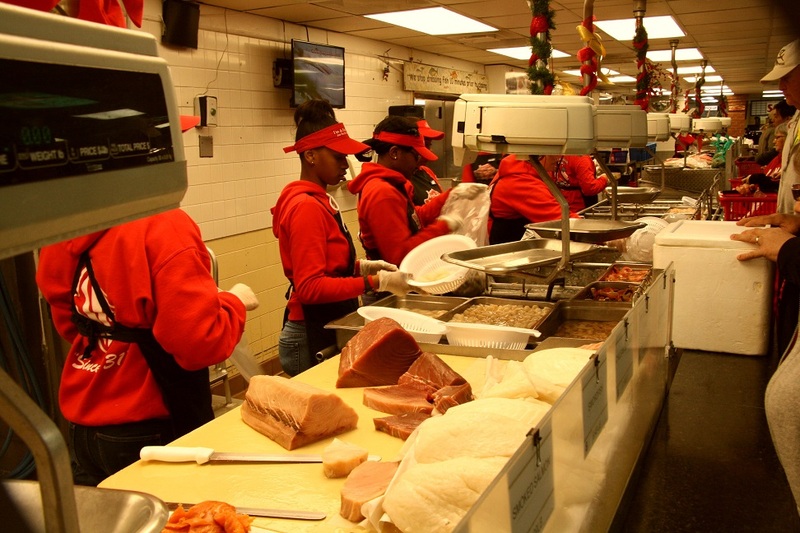 In spite of the crowd they have a very efficient way of serving customers from the fish case. After you have a look at what is available, you get a number and as soon as one of the dozen or so providers is available they call a number, you raise your hand, and they wait on you until you are done – it took about 5 minutes for our number to be called. We bought 10 pounds of jumbo frozen Royal Red shrimp ($7.49/lb), four Norwegian salmon pieces ($8.99/lb), and a nice slice of tuna loin fillet ($15.99/lb) for Cindy. With our basket of goodies we headed to one of several checkouts where we were run-up, bagged-up, iced-up, paid-up, and out the door in a very few minutes. These folks know how to move large amounts of people through their store and have it be a pleasant experience – wouldn’t I love to have Joe Patti’s at home. Then we drove around downtown to check out the shopping potential for the girls – it was a fine way to spend a gray, windy, 50 degree afternoon. We got in to Navarre, on Florida’s Emerald Coast, around 2:30 on Saturday afternoon, got checked into Emerald Beach RV Park, and signed up for the Christmas Eve potluck dinner, which required a quick trip to the store to pick up the ingredients for our dessert. 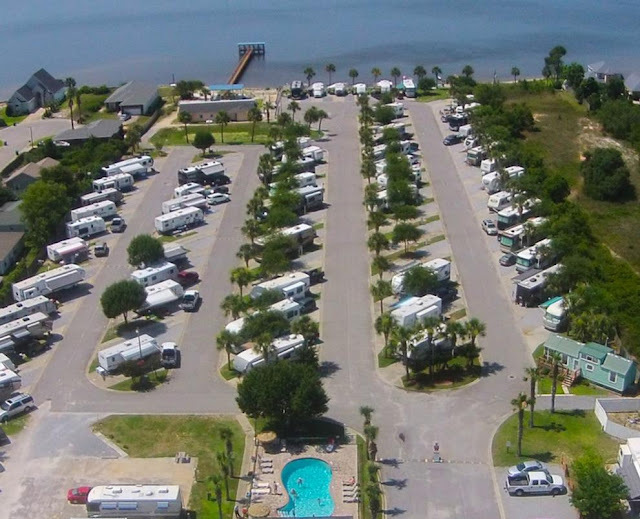 Like most places here, the RV park is located on a fairly narrow strip of land between the highway and the Santa Rosa Sound with Santa Rosa Island across the water. 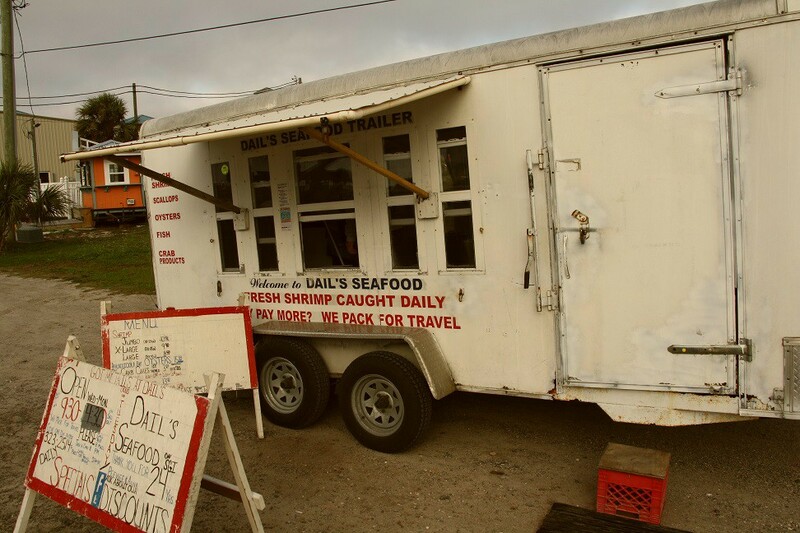 Our first stop on this gray Friday was at a Dail’s Seafood trailer on St. George Island who buys directly from the boats and sells their very fresh (he said the shrimp were swimming last night) seafood several dollars a pound cheaper than others. I bought grouper, snapper, shrimp, shucked oysters, and crab cakes to the tune of $240 and packaged it in meal sized portions with water and froze for the trip home. 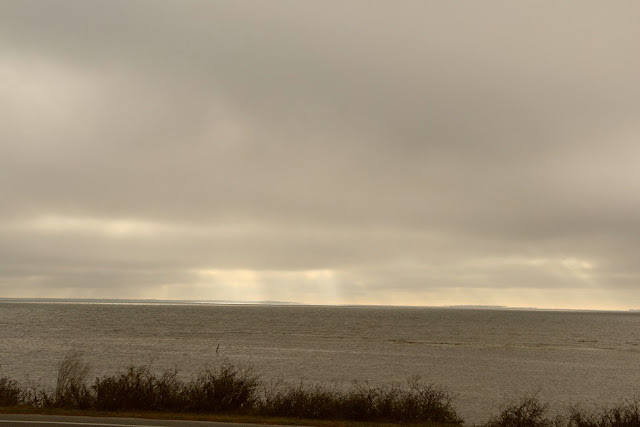 Wednesday finally began with a pretty clear sky but then the fog rolled back in so the girls picked this day to check out the shopping in Apalachicola while the dogs and I puttered around the coach. The girls said there were plenty of stores but they were surprised at the high prices they found. 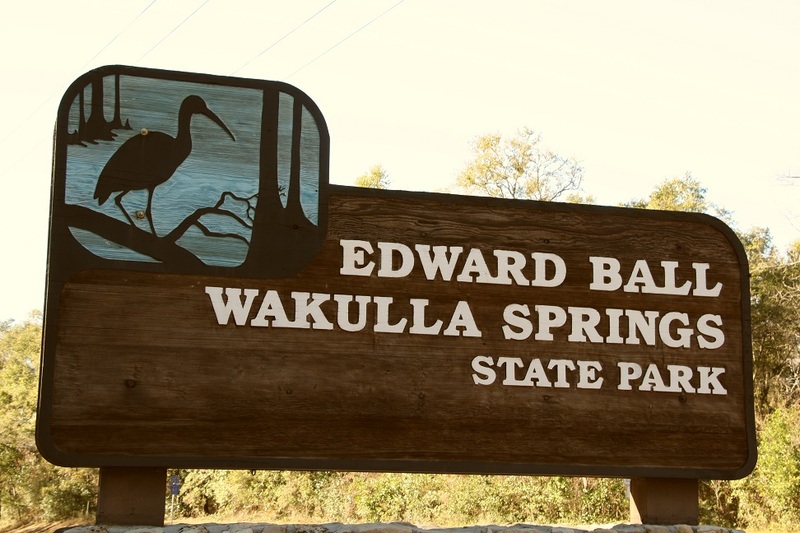 On Thursday, we made the 90 minute drive up to Wakulla Springs to see the 8th Wonder OF The World (according to them) as it was a priority trip for Bev. Edward Ball bought the property in 1934 and built the hotel in 1937, and developed it into a tourist attraction - it became a state park in 1986 now containing about 6000 acres. While in the state park, the 27 room hotel is managed by a concessionaire. 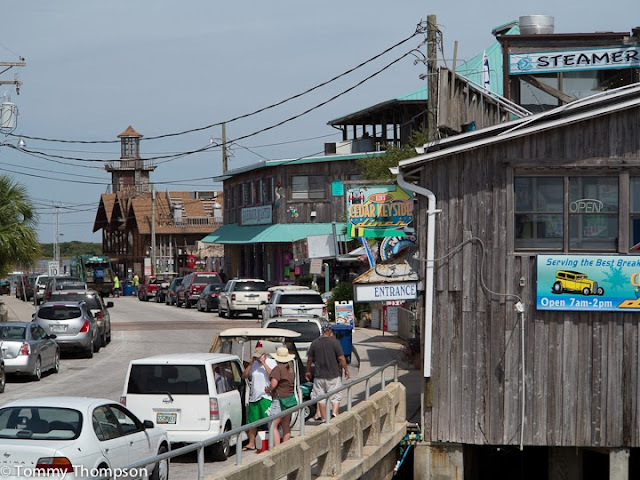 For our first day in the area, we did a little exploring by driving around Eastpoint, St George Island, and Apalachicola just to see where things were located and we bought the ingredients for the topping for our Oysters Rockefeller – soon to be followed by the oysters. The water was all fogged in (couldn't tell we were on bridges) but we could see while on land and checked out some seafood stores and bought some great looking grouper at $14/lb from a trailer along the road. 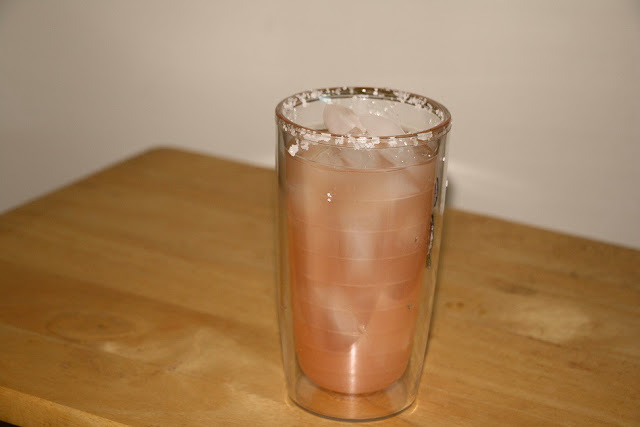 For supper that night we decided on Family Coastal Restaurant, which was just down the road, but when we got there, it was closed for a private party and our backup place was also closed so we opted for Mexican – Pat can only eat seafood in small doses and Bev just a little more. 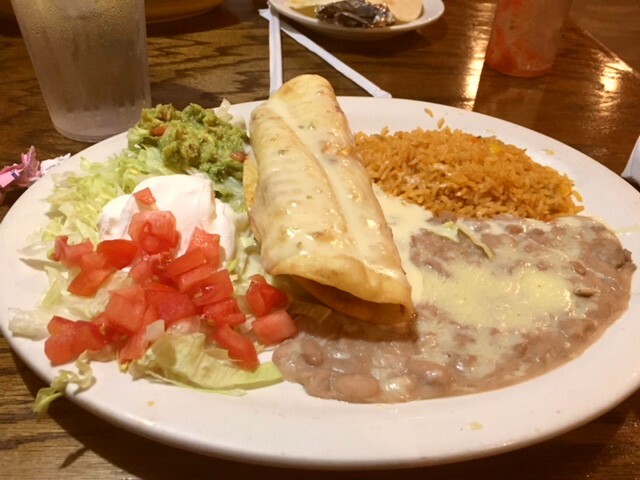 The restaurant was a local chain called El Jalisco and like most, it had a pretty extensive menu and while the ladies went for traditional Tex-Mex fare, I opted to go with something different. Pat had the Chicken Chimichanga. After a pretty busy week, Saturday was devoted to relaxing, nursing colds and getting ready to move about 200 miles north to the East Point, FL area – I know, we’re going in the wrong direction for winter but at least the temps are getting warmer since the dip of cold moved out. With a 1pm checkout time and only a four hour drive, we were able to take our time and got on the road about 10:30 on Sun. 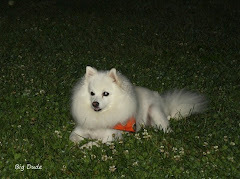 From Dunnellen, we took FL-40 and county 336 to get on US-98 which took us to the RV Resort just east East Point, FL. The roads started out good but became just okay as US-98 is getting a little rough beginning in Chiefland and will need resurfacing soon. Otherwise it was a pleasant drive, especially the last few miles along the water, and much less stressful than the interstate. Thursday was predicted to be about 70F so we decided it would be a good day to visit Cedar Key, which is on the coast but since my cold had gotten worse, I decided to stay home on the couch with the dogs. I really hated that as I like Cedar Key and eating the world’s best clam chowder from Tony’s Seafood Restaurant . They said the key looked pretty much the same as our last visit. 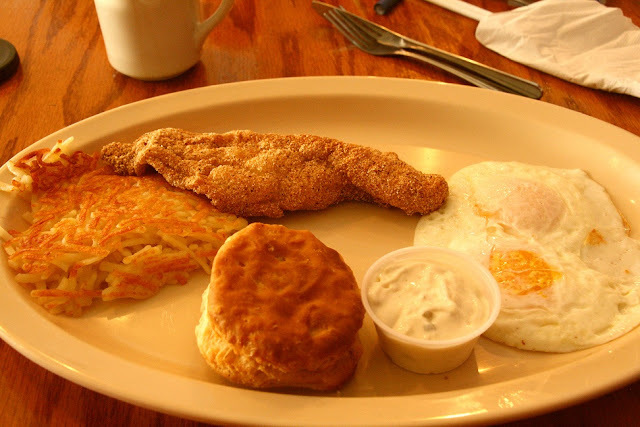 I awoke to a little head cold, but we got the day off to a great start anyway with a trip to the Front Porch Restaurant and Pie Shop in Dunnellen, FL. It is a family business now starting its third generation and obviously the place where the locals go. Their prices were a little higher than I would expect for a purely local place but I think that’s due to the amount of tourist and snowbirds that come through the area. Sunday was moving day and we awoke to temps of 45 which was 20* lower than the previous days and – what a difference in two days. Our destination was Rainbow Springs State Park, about 220 miles to the north, and we took I-75 to exit on FL-44 to Inverness, where we picked up US-41 to Dunnellen and then a couple of county roads to the campground. All of the roads were in good shape and FL-44 was four lane. 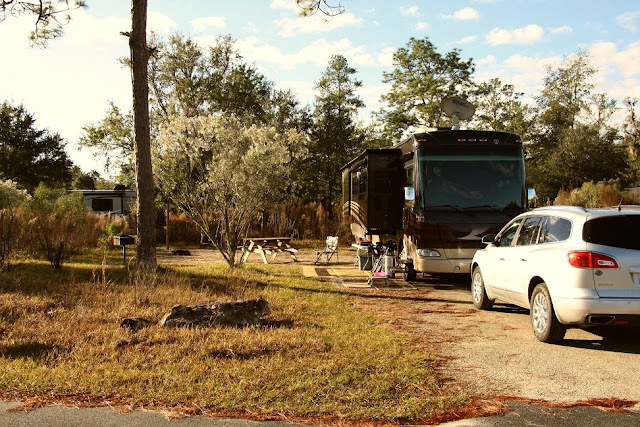 Unlike our previous two stops in resorts, the state park offered a real campground but with some large sites, FHU’s including 50 amp power, and normal campground items – picnic table, grill, and fire ring. When I selected our site I looked closely on Google Earth and picked a satellite friendly site that would accommodate our length – I find Google Earth to be invaluable for trip planning. Friday, I finally washed the filthy, buggy car and got to show Cindy how dryer sheets easily remove bugs and road tar. 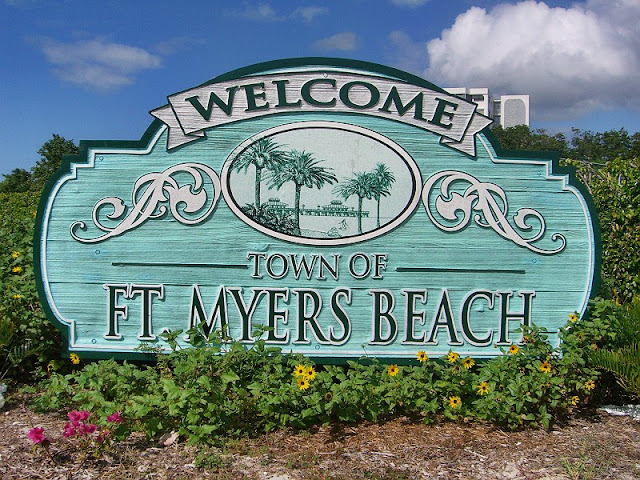 After that, we ran some errands and drove through Ft. Myers Beach located on a barrier island south of Ft Myers and Sanibel Island. It looked like other Florida beach towns that had seen their heydays mid last century - it is still popular and in very good shape but has the architecture of the period. 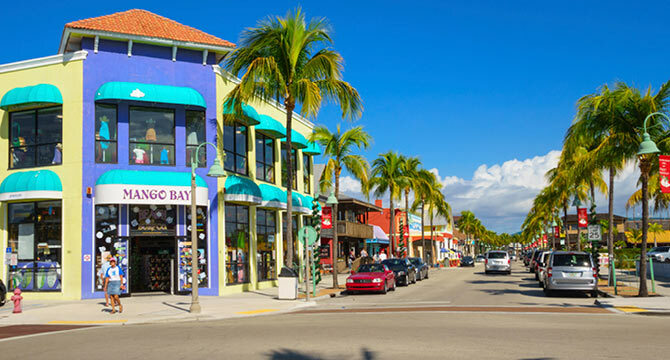 One Wednesday, Cindy flew back down to join us (about $60 on Allegient) for her first RV trip and while I looked after things on the home front, Pat and Bev picked her up at the airport then they all went to Fisherman’s Village in Punta Gorda for some shopping and to lunch. 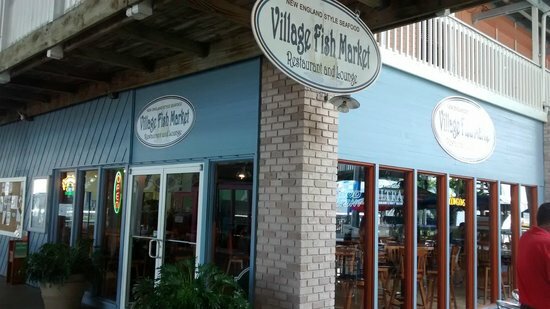 Fisherman’s Village is a pier in the Peace River that has about 30 shops, restaurants and other businesses along with a marina – it’s a similar concept to San Francisco’s Fisherman’s Wharf. 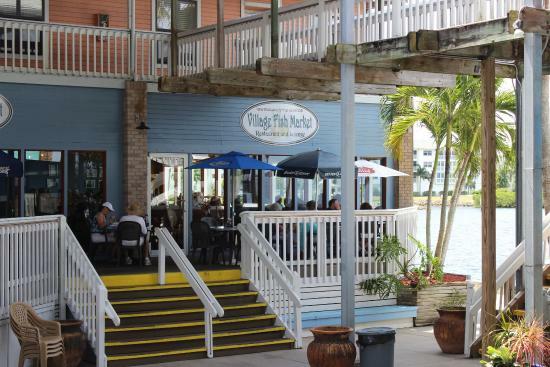 They had lunch at The Village Fish Market and all enjoyed their meals. On Monday, we decided to drive out to Sanibel and Captive Islands to see if much had changed since we were last here, at least 25 years ago. While there was some new shopping development, things still looked about the same, especially on Captive with the large named homes and South Seas Plantation Resort at the north end. We had been to the resort a couple of times, the second to attend my sister’s wedding as she worked there as a property manager. 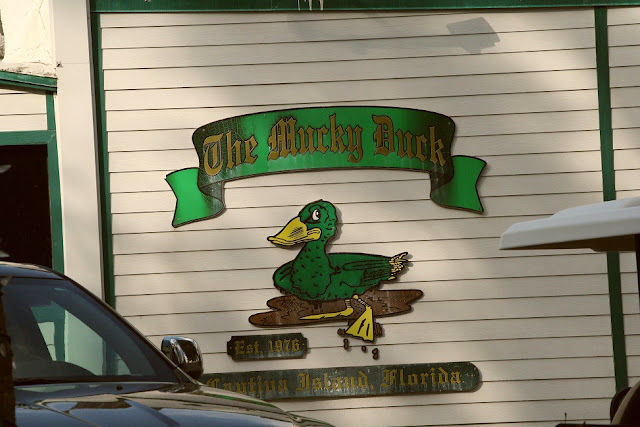 One of the things we remember from our last stay was eating at the Mucky Duck so we opted to give it a try for lunch – it’s now been there for 41 years. For our first full day in the Marco Area, the others went to the Marco farmers market while the dogs and I did our normal morning activity and cleaned up the RV. 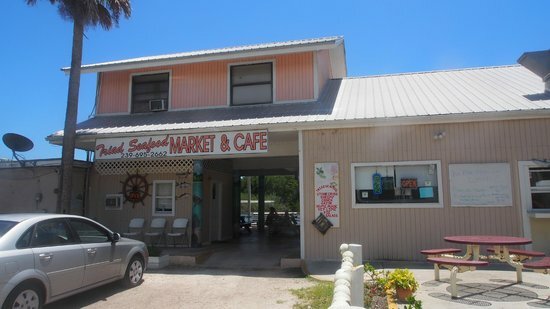 Then we all drove down to Everglades City (EC) for lunch at the Triad Seafood Market & Café - they are no longer a market. 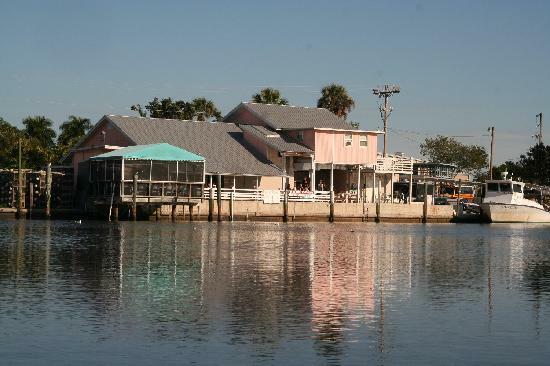 It is located on the water inlet into IC and surrounded by fishing boats and crab traps. 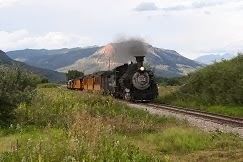 Here are a couple of shots from the web. Joe and I got on the road at 8 am on a chilly (low 30’s), frosty fall morning to start our two day trip to the Marco Island , Fl area. Without Bev in the co-pilots seat, it took the dogs a little while to settle down to a spot they liked – Joe still usually had one in his lap but Bev nearly always has two. It was an uneventful trip down US-411 and I-75 and I did a first, going thru Atlanta in the HOV lane where the restrictions are no trucks and minimum of two people. It was so much better with vehicles only on one side of me and not having to worry about any lane changes. Unfortunately there was a wreck induced back-up a little south of the city that took at least 30 minutes to get though. We pulled into Cecil Bay RV Park at 4pm, for an eight trip. Cecil Bay is run by a nice older couple and is good for an overnight stay with plenty of long pull-thru sites and with Good Sam’s discount, it was only $28/night. 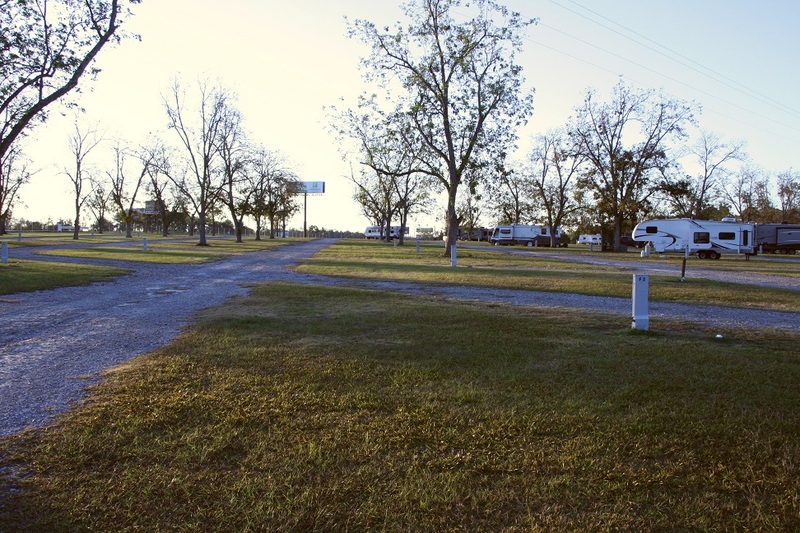 The roads and sites are all gravel with plenty of grass between sites – our site was level. This is a shot down the road with lots of pecan trees (Joe got a bag full from the ground) and our site. Rather than Bev and Pat returning home from Marco, my buddy Joe and I drove the motor home down to meet them while Cindy looks after things around the home place, so I just had a couple of more meals to take care of before we left. Cindy had already flown home from Marco so this is the meal I fixed for the two of us. In a previous post, I’d mentioned that I had boiled a bunch of potatoes that needed used and for this meal, I decided to mash them using Pioneer Woman’s recipe (our go-to) adjusted for my potato amount. I put a small amount of water in their container and nuked them until they were about to fall apart then I added the other ingredients and nuked them again to warm the additions. I hand mashed, adjusted seasoning, and served with a pat of butter on top. 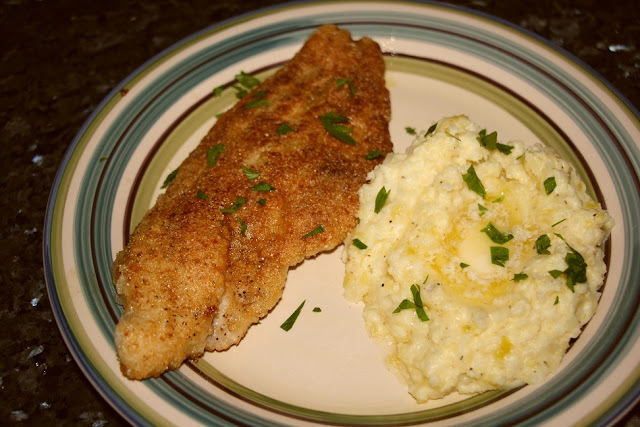 When I bought catfish previously, I had gotten four fillets and decided to give these two a simple southern fry. I seasoned them with S&P and a little Old Bay and fried them in oil to get this meal.